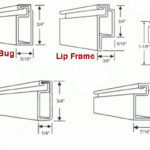 Custom made sun screens are an excellent way to provide a uniform look to a condo or apartment community. Often times over the years these type of buildings have lost the appeal of conformity that make them look clean and aesthetically pleasing. 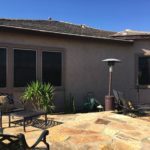 Whether the window screens were lost, stolen, or just worn out over many years of constant sun exposure they can make a place look run down if not replaced. Installing custom made solar screens on an apartment or condo community is the perfect addition to a possible renovation or overhaul that will rejuvenate the look giving all the windows uniformity while providing privacy for the residents and best of all adding energy efficiency that is unmatched for the cost. The addition of sun screens to an Apartment or Condo community have both short and long term returns associated with them. First of all, they provide additional value to potential tenants, renters, or purchasers who may be looking to live there. New buyers or renters will undoubtedly notice the overall appearance of the community, and potentially the uniformity that often makes them appealing and look well maintained. As for a slightly longer term return on investment, these custom sunscreens provide energy efficiency that goes unmatched by any other method of improvement available in the residential application when compared to cost. Often times these energy efficient screens will pay for themselves within only a few years by reducing the monthly energy bills by up to 30%. Whether this savings is passed on to the renter or directly to the owner(s) the buildings will save on both utilities, and also keep the air conditioner from running too much reducing the wear and tear on one of the most expensive pieces of a residence. Every Homeowner’s association is responsible for appropriating funds to bettering the community. Often times sunscreen replacement ends up in the discussion for one of those things to be added. The information in this article is meant to help make that decision easier. Custom sunscreens for a large community can be very reasonably priced due to the volume discounts created by having many buildings. Screens Unlimited works with HOA’s to provide the best possible prices, while maintaining quality throughout an organized process of measuring, fabricating, and installation. Please feel free to get in touch with one of our team members to discuss how Screens Unlimited may be able to meet your screening needs. Apartment owners and investors in Phoenix have been moving to a new structure in providing free utilities in order to simplify the renting process. Many of these apartments have a central unit that provides air to the entire complex or sections of the complex. Often times with older units, this can be difficult to manage air flow and provide comfortable living for some or many units. In our experience, adding sunscreens not only provides investors with a large cost reduction in running the central air, it also has shown to reduce the inside temperatures of units by up to 12 degrees on jobs that Screens Unlimited has tested. This can help equalize the temperatures and provide huge utilities savings that pay for the cost in only a few years. There are often times SRP rebates that can be taken advantage of in these cases. For more information on how Screens Unlimited may be able to assist your community, give us a call or send us an email by visiting our contact page.